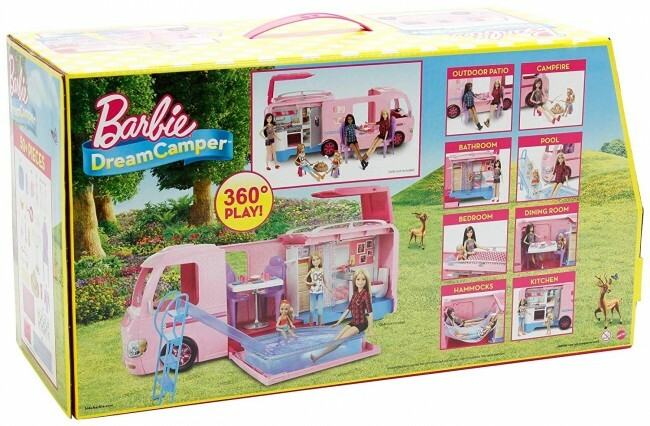 Go Anywhere and Be Anything with Barbie Dream Camper Toy Set. 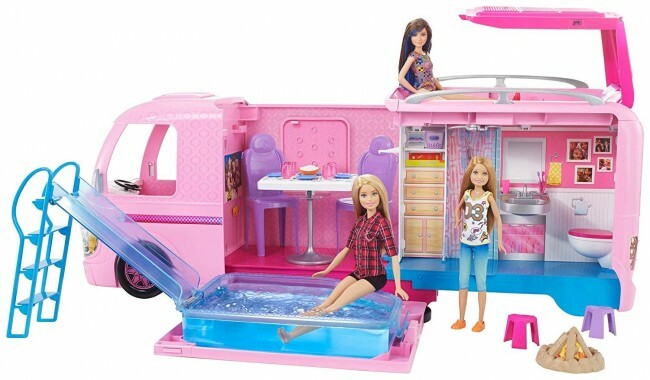 With the push of a button, the pink camping RV transforms into a spectacular campsite (with a pool!) 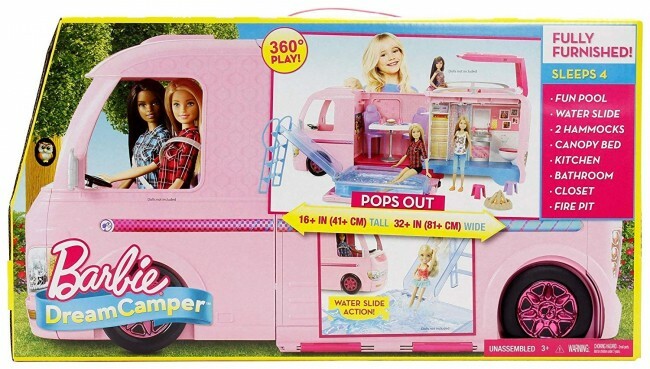 The side panel opens, the top pops up and the front and back of the camper expand. It's so cool to watch - imagination is sparked every time!